Jenkins featured in “Designing Texas” TV series. The Jenkins Design+Build team was featured on the “Designing Texas Dream Home” series, a 6-week television series that follows the creation of a luxury home in Texas. In this final episode, the host of the show, Jocelyn White, interviews Shan & Bethany Jenkins about the home and the team’s journey to create this masterpiece. Designing a 7,000+ sq ft Parade Home on a 40-foot Cliff (feature article, Dolce Vita). Driving through the distinguished Lakeway, Westlake, and Dripping Springs communities of Austin, Texas, you’re bound to find dozens of Jenkins Custom Homes lining the pristine roads. As a leader in home design, this experienced builder creates remarkable dream homes from start to finish. 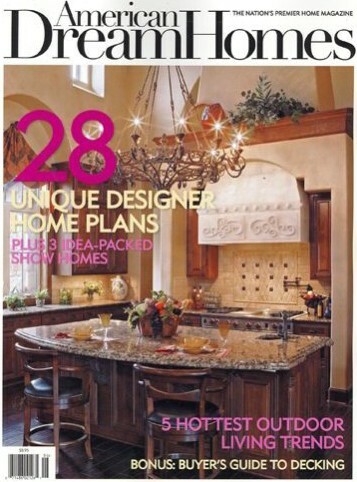 Frontgate magazine features high-end furnishings and accoutrements for the home. 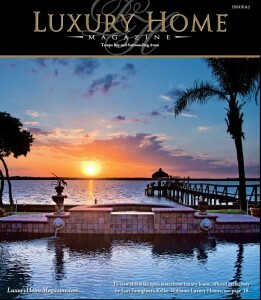 Jenkins Custom Homes was approached about providing a location for the cover page of their upcoming issue, and one of our gracious homeowners offered their home to be photographed. 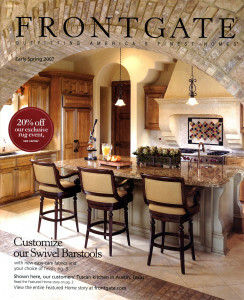 The Frontgate staff staged a photo shoot in the home that resulted in a lovely cover photo and very successful issue according to the editors. Jenkins Celebrated Among Best in America (Best in American Living magazine). 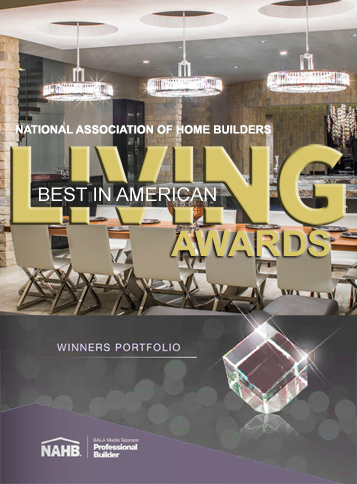 The National Association of Home Builders presented the Best in American Living Awards in Las Vegas this year to honor the best architects and builders in America. Jenkins was among the winners, adding to their nine (9) international awards, two (2) national awards, their over sixty (60) statewide awards and forty-five (45) local awards. Situated atop a sprawling site that gave rise to its alluring aesthetic, this glimmering Lakeway, Texas, estate exudes a timeless air. What’s surprising, however, is that while it looks like it’s been gracing the terrain for decade upon decade, 105 Golden Bear Cove is a relative newbie on the block. 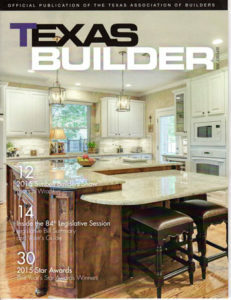 Creating Texas Builder Celebrates Jenkins’ Success (feature article, Texas Builder). The prestigious Star Awards, presented by the Texas Association of Builders, is the only statewide tribute to excellence among builders. 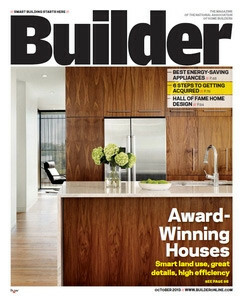 Again this year, and for the third time, Jenkins has been selected for the “Grand Award”, Custom Builder of the Year. Other awards handed out to Jenkins at the ceremony included Best Architectural Design ($1-$1.99M), Best Master Bath ($1-$1.99M), Best new custom home ($1-$1.99M), and Best Outdoor Living Space. Jenkins interviewed by KVUE News. 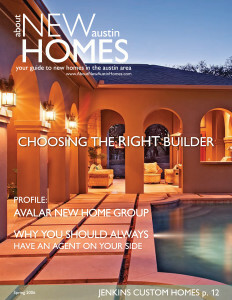 The Jenkins Design+Build team was interviewed by the KVUE News team to discuss their Parade Home, a 7,000 square foot home built in Lakeway’s Rough Hollow. When the Jenkins design team walked this homesite, it was the amazing oak trees that begged to play a central role in the design. Large windows and multiple glass doors establish a connection with the outdoors and the natural landscape. The second floor feels like it’s perched atop the trees with wonderful lake and hill country views. Jenkins discusses new in-home technology. In a recent article, Bethany Jenkins discusses a new technology for high-end homes, a golf simulator. Jenkins built an indoor/outdoor media room specifically for the installation of the state-of-the-art system which allows players to swing an actual golf ball into the virtual world for a real-world golf experience. Jenkins quoted as expert in discussion regarding mold. 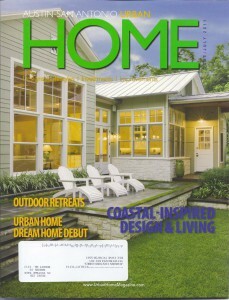 Shan Jenkins was contacted by Builder Magazine to be interviewed about construction methods and mold. Along with other industry experts, Jenkins conveyed his stance on tried-and-true construction methodologies such as 15-pound felt paper for mold prevention.“It allows the house to breathe and prevents moisture buildup,” says Jenkins. While newer products may inhibit mold growth, they could allow moisture into the building.